With the company’s most recent update, Facebook is now positioning itself to be a major factor in the way people search for things on the Internet. Now, Facebook is allowing users to search their social graph – that is, all the data they have access to on Facebook through their network of connections. 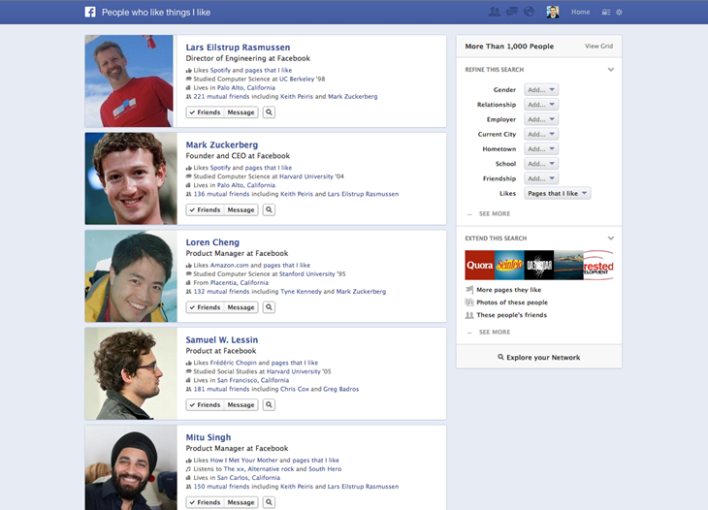 Even in its infancy, graph search is very impressive. Here are a few examples of things that you can bring up with graph search. Search all likes, comments, check-ins, etc. Check out the screen shots below to get an idea of what graph search is and what it looks like. This new update gives Facebook users even more reasons to use Facebook – more reasons to like photos, more reasons to check-in to places, more reasons to use Facebook as a search tool. Facebook already allows you to make photos and videos likeable via its open graph technology; now they’re making those “likes” searchable. 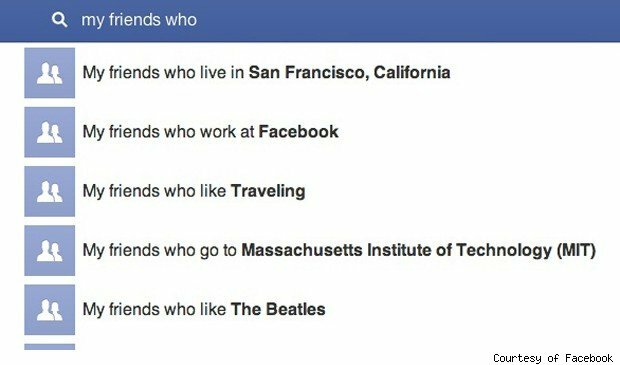 As graph search catches on, more and more people will now easily be able to search for social recommendations from their friends. It’s similar to what Google is attempting with Google+ and social search. The thing is: Facebook already has the largest social network on the planet. They don’t have to convince anyone to sign up for Facebook and use it; most people already do. 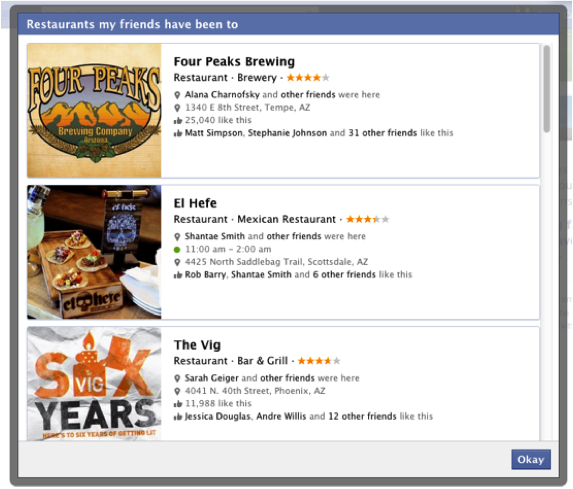 This new update will give Facebook users multiple new ways to find you through their network of friends. Now anytime a Facebook user likes your page, check-ins at your office or at one of your homes, or likes one of your photos or videos, that user is making you searchable to their network of friends. That makes every like, every comment and every check-in that much more valuable. There are a number of ways to not only prepare for graph search, but to position yourself ahead of the curve. First, make a concerted effort to grow both your Facebook following and Facebook engagement. It’s not enough to just have people be fans of your page; you need to get them to interact with your content. 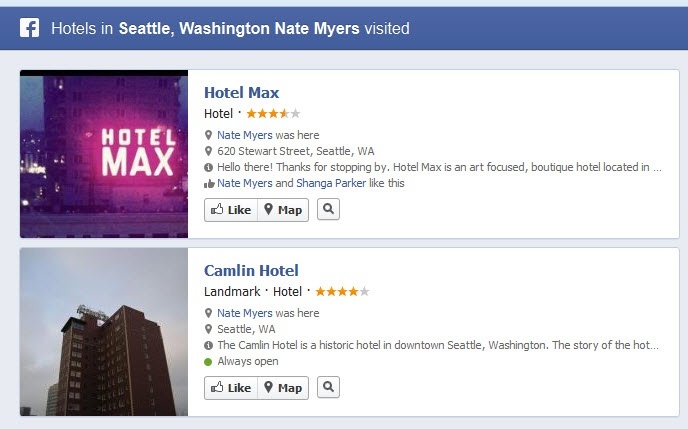 Second, make sure your website is taking advantage of Facebook’s open graph technology. Make all of your photos and videos likeable and shareable. And, consider allowing guests to comment on certain sections of your website. The more you can plug your website into Facebook, the better. Third, focus on producing content that has high social valuable. Some examples of content that have high social value are: original local area guides, high-quality photos (think high-end or unusual homes, amazing views, elaborate or unusual amenities), sharable videos, etc. Better content will lead to increased engagement and broaden the way travelers will be able to find your business. Doing this should also contribute to your SEO and marketing efforts, as well as help increase your bookings.